June’s cake of the month was made by one of our newest bakers. 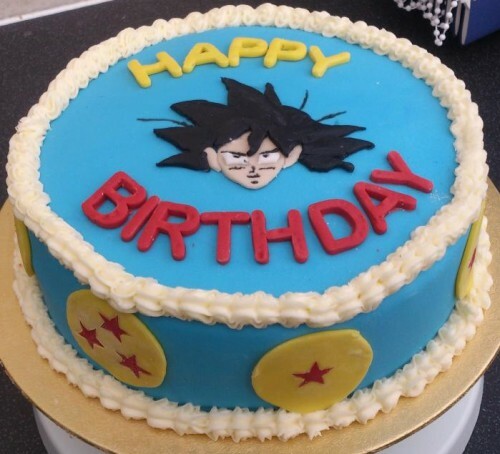 The cake is pretty special as we’re sure you’ll agree – it’s bright and colourful, and fulfills the unusual brief (Dragon Ball Z? Yes, we had to Google it too!) – but, also, its baker, Clare, has already made a handful of cakes for us in just a couple of months. Top cake. Top baker. Happy us. Ingredients/method: A standard Victoria sponge cake recipe, with strawberry jam in the centre, then covered in vanilla buttercream and fondant to decorate. I love baking and I stumbled across this charity about a year ago, so I looked for local groups and at the time Hackney was my nearest one. It’s satisfying being able make cakes for someone else, whilst at the same time honing your skills as a baker, and of course not having to eat everything you bake!